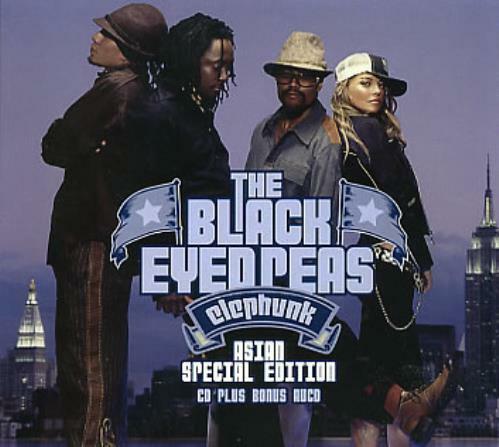 BLACK EYED PEAS Elephunk (2004 Asian exclusive limited edition 2-disc set comprised of 14-track CD album featuring the singles 'Where Is The Love? ', 'Shut Up' & 'Hey Mama'; plus a Bonus Video-CD [playable on your PC] including 2music videos and 4 audio recordings including instrumental and live recordings, presented in unique card picture slipcase). or visit our Black Eyed Peas image gallery.